47TH FILM SOCIETY OF THE YEAR AWARDS! Saturday 5 November marked the 47th Film Society of the Year Awards. Film societies, community cinemas and friends from across the UK and beyond gathered at the Showroom Cinema in Sheffield for the ceremony. 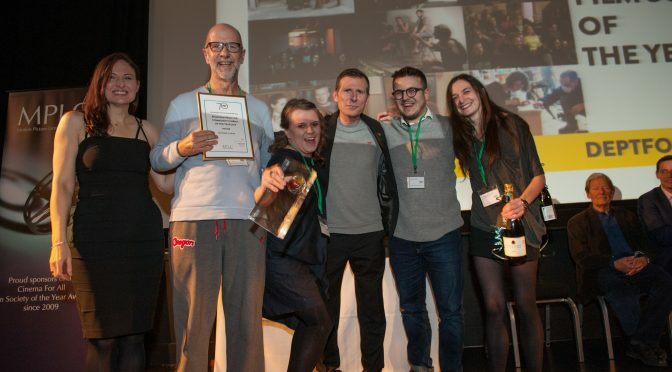 Presented by Cinema For All CEO Deborah Parker and writer and broadcaster Danny Leigh, this year’s awards championed some exceptional community cinema groups and individuals. More to come soon!